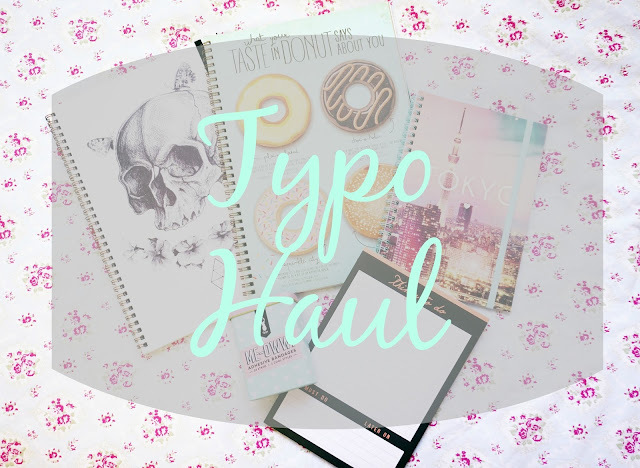 I went to Typo today and picked up a couple of adorable notebooks! My greatest weakness is cute notebooks. I guess you can say that I am bit of a collector of notebooks. Everyone who knows me personally knows that I have a bit of a notebook problem. I just can't get enough of them! So it's no surprise that I am in LOVE with the gift and stationary store Typo! The worker was very kind to me. She was also good at getting me to buy more items! It's a bit of a shame to admit that she successfully upsaled me. I just couldn't help it! I love cute notebooks! I love Typo's 3 notebooks for $10 sale/deal! Originally I only planned on buying two notebooks, but the sales lady informed me that I was missing out on the sale. She recommended me to pick out one more notebook so I could get $10 sale. This is the first notebook I picked out! I like skulls. They're very cool and edgy. LOL can't believe I just said that out loud, but I guess I really do think they are nice. 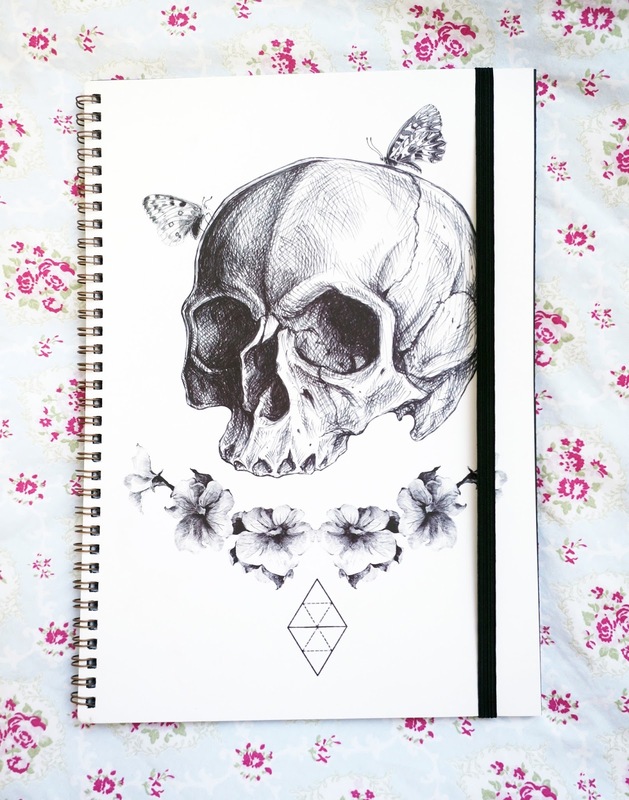 I like that sort of gothy punk look of the notebook. Also the sketch looks pretty cool! It's spiral bound and the pages can be held together with a black elastic band. I have always dreamed of visiting Japan. Unfortunately, the only experience I have of being in Japan is in the Osaka airport due to some strange layover issue. Technically I can say that I've been to Japan, but only inside the airport. 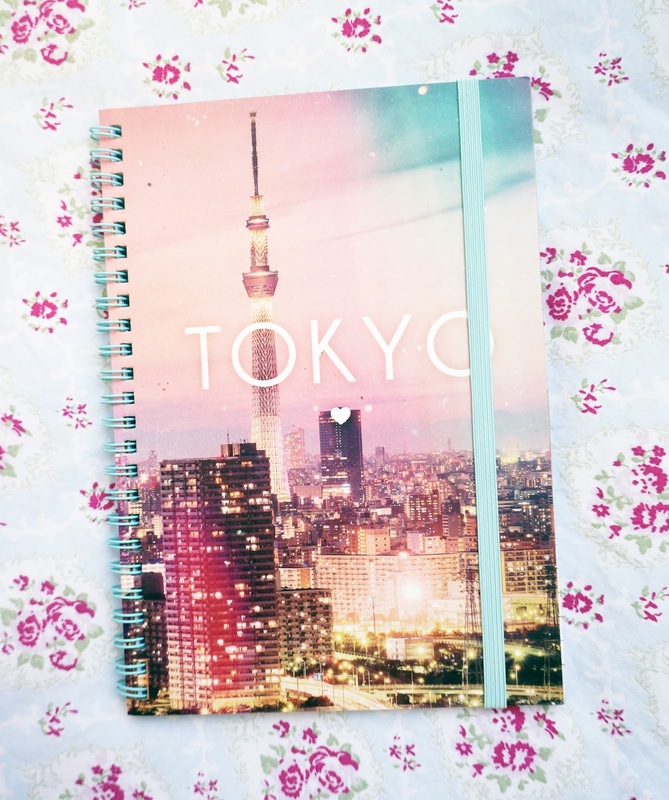 I want to visit Tokyo one day, but for now, I can still admire this notebook! This is the notebook I grabbed last second for the deal. It's doughnut & pastel themed! I thought this notebook looked super cute! I wasn't sure if I wanted to buy this one or the skull one. The design is super cute! I like how they breakdown the different types of doughnut personalities. My favorite kind of doughnut is the "Sprinkle City" one. "You love anything O.T.T. and love being the life of the party. 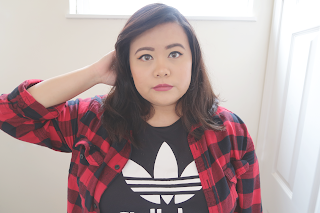 Known to be a bit of an attention seeker. 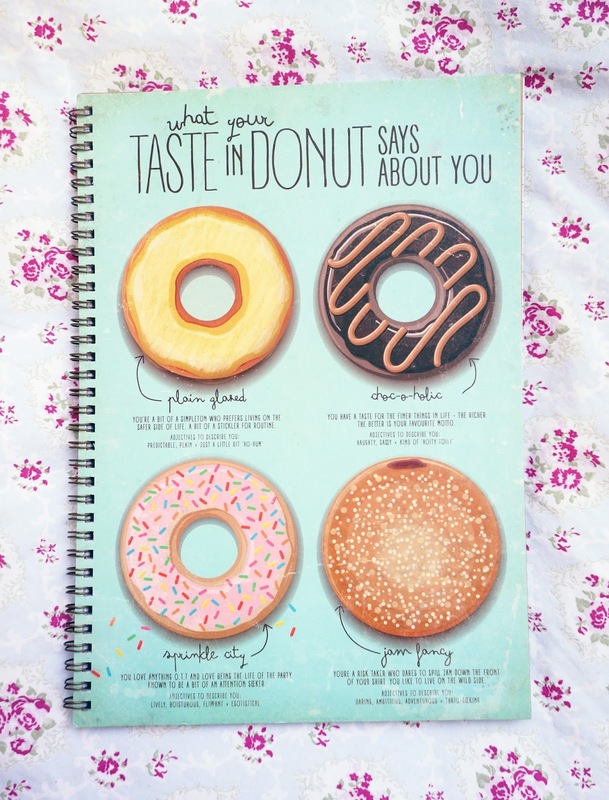 Adjectives to describe you: lively, boisterous, flippant, + egotistical"
I'm not sure how much that describes me, but I do love a good sprinkle doughnut! I am a bit of a "neat freak" and everything needs to be organized / clean. I usually put my to do list on my iPhone, but I sometimes feel the need to just write things down. 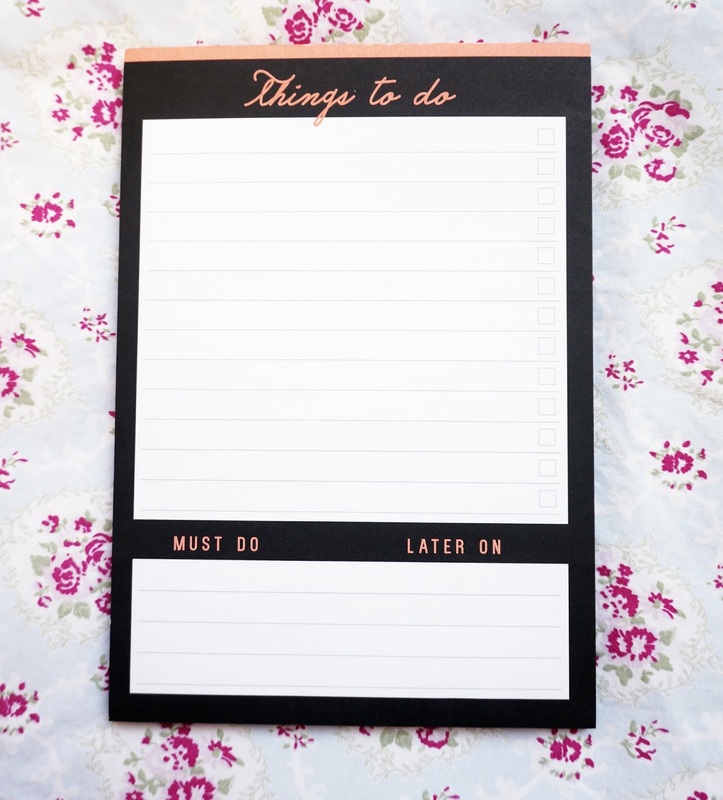 So this notepad was the best thing for me! I like this simple design with the letter color popping up at the top. It feels very sleek and mature. I like how it is broken up into three sections. The large portion for To-Do's and the two smaller sections for "Must Do" and "Later On" at the bottom. So this item was something the sales lady sold me on. She told me I could pick up any novelty item at the cash register and get it for a cheaper price. 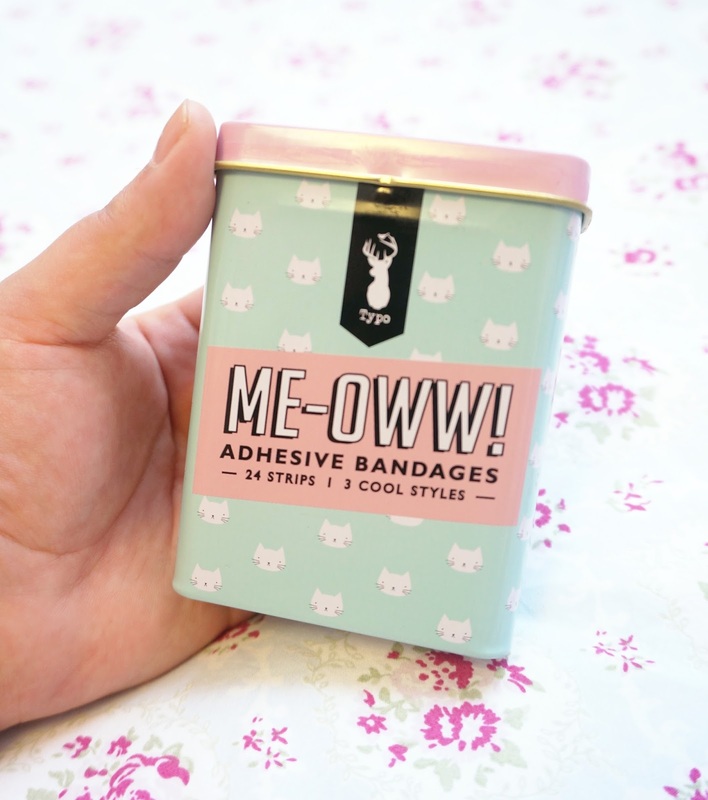 At first I was going to refuse the offer, but then I saw these cute cat bandages! The box really stood out to me! 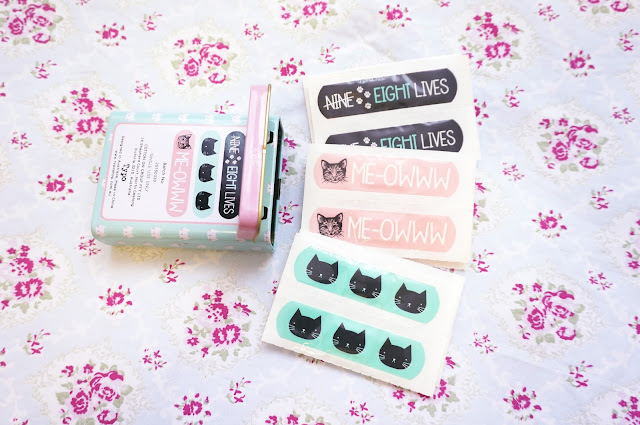 Here are the bandage designs! Aren't they cute?? I'm not sure how well these bandages are, but the definitely make me feel happy! I'm actually not a big fan of cats, but since it's pastel I think I'll make an exception.